Factory warranty until March 28,2022 or 300 hours,whichever comes first. 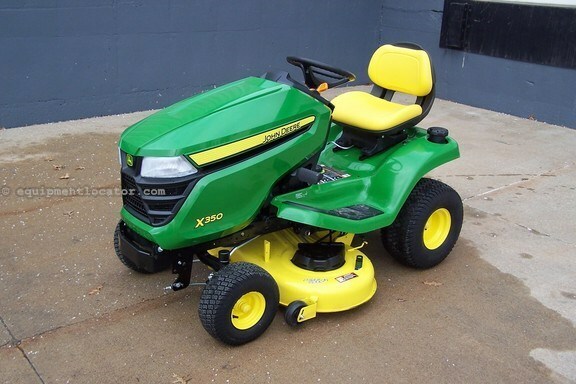 Great lawn tractor powered by a 18.5 hp Kawasaki v-twin engine,hydrostatic transmission,low effort steering,foot pedal mower deck lift,adjustable seat and LED instrument display with hour meter and fuel gauge. Serviced and ready to mow including changing engine oil and filter,new air filter,fuel filter and spark plugs,greased unit,sharpened the mower blades and checked deck level. Nice mower like this will not be available once the grass turns green,plan ahead a be ready,call with any questions you might have.